Gathering Friends Quilt Shop is located in Bird Island, Minnesota. Use the contact information below to reach out to us about any questions you may have about quilting or our online quilt shop and quilting supplies. 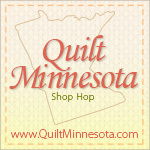 Your One Stop Minnesota Quilt Shop!